Last year, I started reading a lot of non-fiction—mostly in an effort to be a Better Me and learn a few things about life. In fact, I blogged for an entire month about some of the concepts and precepts I have been trying to institute in my own life as a result. In my blog post entitled When In Doubt, Throw It Out!, I mentioned a book, The Life-Changing Magic of Tidying Up. In this particular episode, Emily is trying to deal with the sudden loss of her husband by employing the tactics she read about in this book. She’s cleaning out her house by holding up items and asking herself, “Does this spark joy?”. Lorelei is quite annoyed with her as she sweeps around the house repeating this process several times (when is Lorelei not annoyed with her?) This is the KonMari Method to “tidying up”—an invention of author Marie Kondo, an expert, er…tidier? Her book, The Life-Changing Method of Tidying Up was sweeping the nation at the time. Now, a year later, Marie Kondo has her own NetFlix show and people are going nuts. Between the time of the Gilmore Girls episode and the Marie Kondo NetFlix craze, I managed to read the book. When I took The Life-Changing Magic of Tidying Up out of the library, I was a little startled at first. I don’t know what I was expecting, but it wasn’t this tiny pocket-sized book. I was expecting some…well, life-changing sized book to be honest. How could a self-professed life-changing method be crammed into 200 pages? I have to admit, I was almost immediately turned off by the book and the process. In all honesty, it sounded really…hokey. Marie Kondo herself came off as if she was a few nuts shy of a squirrel picnic. I mean, I get it. She’s an organized person and all that, but she was REALLY full of herself in the first few pages. Sure, she’s organized and efficient and all that, but that doesn’t mean being “tidy” is the most important thing in the world. I guess it’s important to you if you’re actually reading the book to help yourself, but I was just reading it to see what the hype was about. After all, I wasn’t really interested in sounding like a lunatic by thanking my clothes for serving me today. My first impression of Marie Kondo (besides a possible looney bin candidate), was that she had to be single and kidless. She mentions things like putting your things away immediately when you’re done with them. Things like shoes and books and kitchen tools. While in theory that’s a great idea, in reality, most of us cannot even get into our house (while carrying six bags of groceries, listening to a child report that his brother spit in his hair, discovering that the dog has $hit on the floor again, and the cat has scarfed up a hairball) without losing our own $hit. Immediately tidying just isn’t a very realistic process for most of us. Because they’ll want to tidy up after themselves when they see what joy it’s brought you. (INSERT GINORMOUS EYE ROLL HERE). My family probably wouldn’t even care if we were living in a cardboard box stuffed with used Q-tips and Chinese food containers as long as they had decent WiFi signal. No, really. Their bedrooms look like a tornado and a hurricane touched down simultaneously. And the only reason my husband’s bedroom looks okay is because I sleep there too and I keep it neat. I’m pretty much the only one who even remotely cares about being neat…and that’s why everything is such a mess. These people throw everything anywhere. Really. Until I put a giant basket next to the front door, they would dump their shoes RIGHT IN FRONT OF THE DOOR. Marie Kondo would probably have a stroke if she saw the giant basket, because the shoes are just piled in there with no rhyme or reason. And no, they didn’t thank their shoes after they used them. It certainly doesn’t spark joy. At all. And Can We Talk About the Sparking Joy? Some things in life are necessary evils. And they do not spark joy. In fact, they spark anger and annoyance. (Like my oven that doesn’t work well and my electric bill in the summer.) But yet, we need them. Because we cannot afford to throw out everything that doesn’t spark joy and get a new one. We can’t disregard necessities because they don’t “spark joy”. This idea kind of reeks of privilege. And what does that even mean? “Spark joy”? What would constitute “Sparking joy”? My morning coffee? An unexpected free hour to take a nap in the middle of the day? Half-price sale at Michael Kors? Depending on my mood, sometimes these things don’t even spark joy. What if I was cleaning out my house on a joyless sparking day??? As I went through the book, I discovered it wasn’t all nuts. In fact, some ideas were plain brilliant. 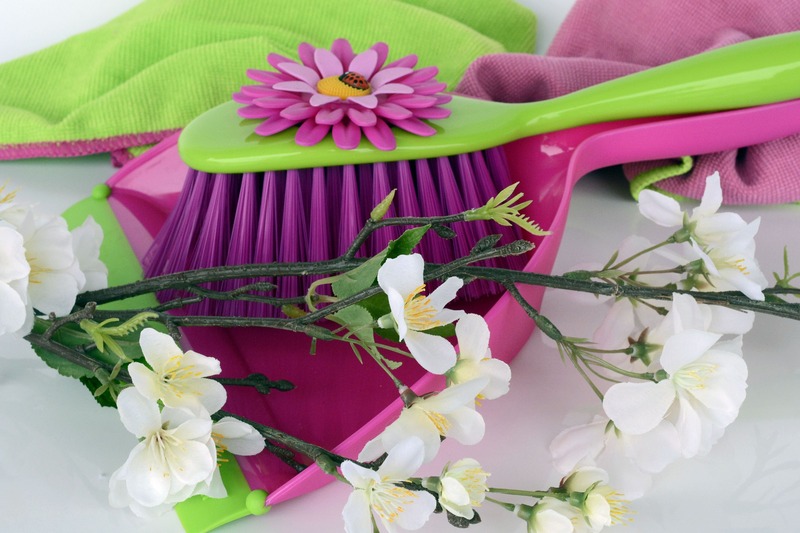 I always do some spring cleaning, but it’s usually willy nilly, without a plan. Halfway through my spring cleaning, I usually give up because the family has messed up the house again. I figured if I employed the KonMari method, I would have a better shot at actually getting it done. I was not planning to go through every blessed thing in my house and hold it to my chest and ask if it sparked joy either. However, I WOULD go through things more thoroughly using rules and guidelines. Is this worn out/ broken/needs to be replaced? Have I not used/looked at/needed this in a year or more? Am I just hanging on to this because it evokes some emotional response and it’s really useless? The Life-Changing Magic of Tidying Up also suggested that you tidy all at once so that things don’t get messy while you move from room to room. I laughed and laughed and laughed. While I get the reasoning behind that, it really isn’t feasible to expect people with jobs and lives (living with multiple other people and animals and teens that need to be driven somewhere every five minutes) can devote that much time to this project all at once. However, I did try to tackle each category at once. Dude…this was a piece of cake. I took everything from my closet at once—this was incredibly overwhelming to see—and laid it on my bed. Holy crap I had so much STUFF. Like, I said, I didn’t hold it to my chest and ask if it sparked joy, but I was quickly able to determine what DIDN’T spark joy. The too small jeans that I swore would fit me again some day, the shirt with the button I was going to eventually get around to sewing back on, the shoes that always gave my feet blisters. It was no holds barred throwing this stuff out. I felt completely liberated by the idea that I didn’t have to hold on to this stuff if I didn’t want to. Knowing that I didn’t have to feel guilted into keep a pair of pants with the tag still on them because they cost a lot, was great. I could donate them and someone else could have them. In no time, I had my three piles…keep, throw out, and donate. It was time to move on to step two…. I admit, this was a difficult concept to adjust to. But when she explained how to fold your clothes so you could see them all at once, I realized it was truly life-changing. No more rifling through the drawer to find the shirt with the sequins you like…IT’S RIGHT IN FRONT OF YOU! Gone are the days of clothes falling behind the drawer because it’s stuffed to the max and you just rifled through to look for that sequined shirt. And if you have gotten rid of everything you REALLY don’t need YOU CAN FIT ALL YOUR CLOTHES IN THE DRAWER! I swear! Plus, with this method, you really, truly don’t have to rotate your winter and summer clothes. That has always been a dreaded chore for me. Well, no more! I implemented this method eleven months ago when I read this book and I STILL fold my clothes that way. And no, I did not have to change over my summer clothes for my winter and vice versa. I know that if it gets to the point where I can’t fit everything in the drawers or closet…I have too much and I need to get rid of something. One weird thing though…apparently your socks have souls and do not like to be balled up in your drawers. In fact, they’re crying in pain, according to Marie Kondo. I HAVE noticed that balling up the socks stretches them out quickly and I have to replace them sooner. Folding them does not stretch them out. So do yourself a favor and please fold them neatly in half and save their little sock souls. The next step was books. I love books. I don’t often buy books, though. The majority of books on our shelves are either books someone has bought us as gifts or books I’ve won through Goodreads Giveaways. And the ones that I’ve bought are usually purchased because I either really loved the book or I got an amazing deal on it. I felt like I was parting with a baby every time I put a book in the box. The guidelines I used for which books I donated and which books I kept were not logical. I asked myself if I was planning to read the book again and 99% of the time, the answer was no. As a self-professed bibliophile, I have to confess: I have only read six books multiple times in my life. Yes. You read that correctly. Six. It’s not that I don’t think books are worth rereading. It’s just that we have such little time here on Earth…I want to read as many books as I can. Rereading books would take time away from discovering new ones. So How To Decide What to Keep and What to Donate? I decided I would keep anything older than say, twenty years…books from childhood and such. (Okay, maybe THIRTY years.) Then I kept all Hubby’s books because even though he was never reading them again (I’m sure there were many books on the shelf he hadn’t read to begin with…), I wasn’t going to incur his wrath, Marie Kondo be damned. Then I kept all the books I won. Don’t ask me my reasoning behind that. I also kept the books I’ve bought that I haven’t read yet…even if it’s been years since I bought them. (I wasn’t throwing money away!) And finally, I kept all the books I have rated 5 stars. Yes, I realize I went rogue on Marie Kondo’s method, but seriously…who gets rid of books?!?!? I did have a huge Rubbermaid container of books to bring to the library and that made me feel good. Someone else would get a chance to enjoy the books I had loved. First of all. I don’t like to save papers. It’s like the opposite of books for me. I shred $hit the second I don’t need it any more. He literally has pay stubs from when he worked at Burger King in the 90s. Yes, he does. And when we redid our home office a few years ago, I discovered he had a receipt for a jacket he bought in 1992. AND HE FOUGHT ME ABOUT THROWING IT OUT. I went through as much as I could on my own…my own receipts and paperwork. Stuff for the kids and such. Since I’m pretty on top of that stuff to begin with, it didn’t take long. There are A LOT of papers in our home office/house/kitchen/his dresser that I cannot touch because I have no idea if they’re important or not. To work on this category, I TRIED to get him to help me—basically I held up papers one and a time and asked him if they were important or not. Honestly, I had no problem with this category, other than the fact that there were so many thing in it that it took weeks to do. I have no qualms about throwing out stuff that I don’t use or stuff that is broken. Miscellaneous would include that junk drawer in your kitchen and the bag or bags in your closet. The kitchen tools and fondue set you never even took out of the box. It includes those wine corks you’re saving for an “art project” and the soap and shampoo you took from the hotel on your vacation ten years ago. The make-up that’s fifteen years old, but you haven’t quite finished it. It’s the planner from 2007 and the combination lock on your dresser that you forgot the combination to. It includes the shells you collected from the visit to the beach that you have no idea what to do with. THROW IT ALL OUT! Or donate it. Or sell it. Whatever… Just get it out of your house! It’s collecting dust. It doesn’t spark joy! Photos and sentimental objects. No. Just, no. I am not tidying up photos. I confess that by the time I got to this step it was over a month after I started. Yeah, yeah, I know. You’re supposed to do it all at once and all that, but…LIFE. I am generally not an overly sentimental person. I do not feel the need to save every little crap my kids ever made, unlike my mother-in-law. I’m pretty sure she has Hubby’s first poop bronzed somewhere in the house…I just haven’t found it yet. So if I’ve saved something, it’s for a reason. Do my sentimental items need to be organized? Of course. But, I think tidying up your sentimental items is a personal thing and by that time I had forgotten Marie Kondo’s suggestions for organizing sentimental items. In fact, I don’t even know if she had suggestions because I was too beat at this point. I was tapping out for good. There is NO WAY IN HELL I AM THROWING OUT PICTURES. Seriously. You never, ever know when you will regret throwing out a picture. Don’t do it. So basically, that wraps up my very long review of The Life-Changing Magic of Tidying Up. Did I get anything out of it? Sure. Will you get anything out of it? Probably.